Our clients can avail from us comprehensive range of Printer & Copier Machines that is designed as per the requirements of the industry. The machine offers excellent print clarity and can be easily maintained. These cost effective machines are known for their sturdy construction, resistance against shock & abrasion and longer functional life. A. Easy to refil when tank used up! GBT Pigment inks are also used for I D Card printing as it gives excellent output with the Laser Printable Teslin, Synthetic, (Laser) Sheets. Generally people use this with Color Laser printers in which the printing cost comes too as high as 10 – 15 Rs per sheet & side. 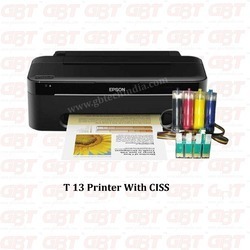 GBT Company has now developed the ink which works exclusively with the Laser Printable Teslin Sheets on Epson Inkjet photo Printers profile to be selected as Paper Type: Epson Ultra Glossy Quality Mode: Best Photo. Pls be sure that Selection is done as per above mentioned before Printing. The Ink Print cost will be as low as Rs 1.0 – 1.5 per sheet & side moreover its water proof, Light fastness without a noticeable fade upto 50 years. Secondly, when you take a full color background print with color laser printer the problem faced is after lamination, that the lamination opens up soon. Now, this problem can be avoided by consuming GBT inks. The more matter is printed; the perfect grip is seen after Lamination. • GBT Pigment Inks are specially developed to work efficiently For ID Card printing with Epson Inkjet Photo Printers profile to be selected on ** Inkjet Dragon Sheets Paper Type: Plain Paper Quality Mode: Best Photo. Pls be sure that Selection is done as per above mentioned before Printing. The Ink print cost is as low as 1.0 – 1.5 per sheet per side. The ink quality is Fade Resistant, Light Fastness without a noticeable fade upto 50 years Indoor & Out Door use, provided printer is used every day or at least take a Test Print. Else ink will get blocked in the pipe of CISSystem. • If you wish to take A Photographic Print with “Water Resistant” Photo paper of 180, 200 OR 260 gsm’s along with Epson Photo Printer. The Printer Profile to be selected Paper Type: Premium Glossy Quality Mode: Best Photo. Similarly, the Photographic Print with “Water Proof” RC Base Resin Coated Photo paper where the surface could be Silky, Satin OR Glossy having any (thickness) GSM’s along with Epson Photo Printer. The Printer Profile to be selected Paper Type: Ultra Glossy Quality Mode: Best Photo. 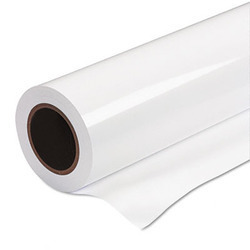 It is used for Designing (Prepress), Screen printing, Jewelry Designing, Business & Invitation Cards on any paper like bond paper, plain white paper, card paper, but our the surface of the paper should be matt surface. It’s a fact that your paper can tear but printouts will never fade since our ink is Water Proof Ink. The Continuous Ink System Ink jet Printer consists of a high-capacity ink reservoir that is attached to a cartridge via secure tubing. The tubing acts as a vacuum to extract ink from the reservoir and keep the cartridge full of ink. Because of the large reservoir capacity, you can print for an extended period of time without running low right away. There is a red line on the reservoir to indicate when it is time to refill. Each Continuous Ink System comes complete with easy-to-follow instructions, ink, and all accessories needed to successfully use the system. The included Continuous Ink System cartridges have a permanent smart chip already installed. No mess! No leaking! For your convenience, there is a filter built into the ink tank, to prevent outside agents from contaminating and/or affecting the quality of your prints. Remember, the ink is UV resistant and matches the OEM quality in both quality and page yield. 2. The transparent tank is made of PP material which is very tough, it is very strong for usage. Each tank is packed by individual package, with accessories. Card design, sign, image, gift, personalized greeting card, celebration etc. Leather, coated paper, binding paper, sticker, plastic, fabric, ribbon etc. It is known to all, the development of ink-jet printer is very wonderful! 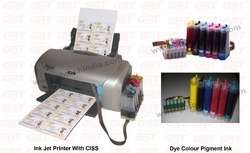 Cost : The ink-jet printer used in the market now, ink will cost 3000/- to by the original 6 color ink, if you use our ink system, the ink cost will only be 0.50 Paisa to Rs.1/-per A-4 sheet, it is useful to the customer who want to purse large printing and good quality. 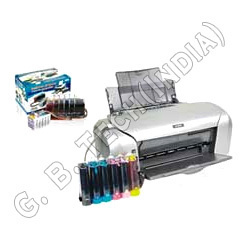 We are engaged in offering a highly functional range of Printer & Copier Machines at economical prices. These machines are known for their smooth operation, low maintenance, and high print clarity. The range consumes less energy and is resistant against abrasion. ID card tray for Epson R200, R210, R220, R230, R260, R265, R270, R280, R285, R290, R300, R310/R320, R350, R380, R390/Rx680 and all Epson R series printers. For producing personality ID card. Now you can print directly on PVC ID card using your existing Epson printer with Dye/Pigment inks. 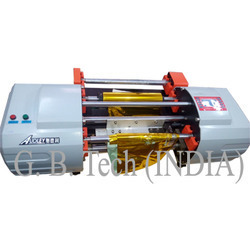 No need of ID PVC Cutter and Laminator! The card tray is as CD trays on some Epson printer. So we also can print our cards on them by cards tray without lamination. 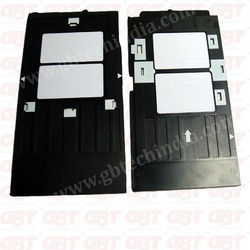 The printer have a CD print function,with the card tray can print card directly. 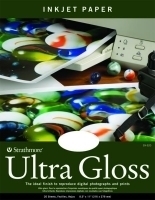 The high gloss surface produces near photographic quality when reproducing digital photographs. This paper creates the look and feel of a real photograph. High glossy inkjet photo paper is the coated photo base paper used for high resolution photographic poster prints, home & office photographic image prints, graphic-display prints, advertising output, business presentations, reports, flyers, designing, greeting cards, etc. It has good compatibility with pigmented inks and the images on this paper will dry super fast. 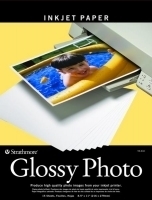 With high whiteness, high glossy inkjet photo paper can offer you the highest color gamut. High glossy inkjet photo paper is a kind of cast coated paper with a bright white and glossy surface. It is an ideal medium for everyday photo print. It can give clear, vivid and high quality color to printed photographic images. 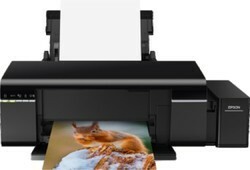 Our high glossy inkjet photo paper is waterproof and the ink on it will dry quickly. Support high resolution up to 5760 dpi. This inkjet paper is applicable to all kinds of inkjet printers.